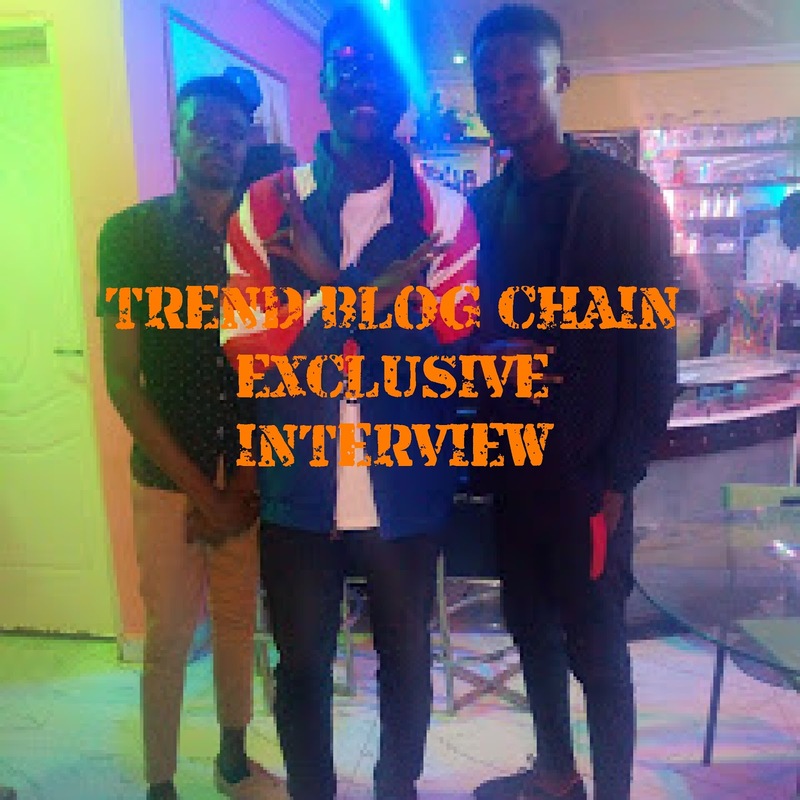 After Kick starting our Exclusive Hangout/ Interview session on the 1st of December 2018, having “Emmy Jay” as our first guest, TREND BLOG CHAIN (TBC) are here with the 2nd edition of the session, This time we hosted Kaduna state energetic and vibrant artiste, winner of the “Next Rated Artist” Kaduna Entertainment Awards (KEA Awards 2016), no other person but ELAIDRIX (Son of Grace). TBC: Wow nice name but the name Hendrix what does it mean, is it an English name? ELAIDRIX: Lols, the name Hendrix is actually a German name which means “Outstanding”, “Outset”, “Powerful” and soon on. So therefore the Elaidrix came from my Names “Elijah” and “Hendrix”. TBC: Omor that’s nice o, Can we get to know about your background? ELAIDRIX: Oay…, Am from a family of three (3), the first born with a little brother and sister. I am “Bajju” by tribe both my mum and dad are “Bajju”, in short I be full KD boy……. You know na Chongai. TBC: Lol’s guy naso! So can we know what actually inspired you into music? ELAIDRIX: Haa!! Mehn gaskiya I myself didn’t even know that I will venture into music o. but I can remember back then when my friend won a ROCK and ROLL competition, and when he brought the beat to this popular song back then “Overkilling” by Djinee and was like let’s play with it a little bit. So we both rapped on it and my guys were like “wow1 we need more from you o” and all that before I knew it dropped a Cover to Ice-Prince song “N Word”, 3-4 months later I dropped another one and they kept feeling it, people gave me the reason to go on that was how it all started. TBC: That’s interesting, so when did you officially start music? TBC: Who has been your biggest inspiration in terms of music? ELAIDRIX: Baba globally I will say Kanye West, Jay-Z, and Kendrick Lamar. While if we come back home to Africa: Ice-Prince, Vector, MI, Sarkodie and Cassper Nyovest. Am an energetic performer and if you check out these guys u go discover say dis guys fit perform for over one hour with the same energy and charisma. Sometimes I spend my time on YouTube watching the performances of these guys at different events and shows. TBC: No wonder you perform with so much energy on Stage. ELAIDRIX: Yes o, that’s why you also hear me with the word BRASH!!! it means“CONFIDENCE IN AN AGGRESSIVE WAY”, check am e dey dictionary sef, na the logo be that. TBC: Wow!!! We have learnt something new from the son of Grace today. Your parents, are they in support of your music? ELAIDRIX: Mehn 100% my mum gat my back Mrs. Grace, we even dropped a song together, it’s my latest single. TBC: That’s awesome bro. if we may ask, what are your goal professionally as an artiste? ELAIDRIX: Aside money, my goal is keeping a legacy, doing something great that I will be forever remembered for just like featuring my mum. And also taking my style somewhere beyond my hood as in ehn….. Both locally and globally. TBC: Do you have any EP or Album on ground? ELAIDRIX: Actually am not the EP or Album kinda person, no be say songs no dey, I just dey like to dey drop dem hits on hits. Its gonna come but not really soon, definitely it will but for now singles. TBC: So, do you write your write your songs yourself? ELAIDRIX: Yes o!! I write all my songs myself. My rap, hooks everything sef but make I tell una one secrete when I wan sing e dey take me one month o but when it comes to rap and hooks I write them easily. TBC: How have you developed your career so far? ELAIDRIX: well, am not where I want to be, but am not where I was 2014, it’s been more of hard work. There is actually this believe I have which is “Each song you drop, adds at least 10 new fans to your fan base”. TBC: Hmm… interesting we learnt yet another concept that will be of use to artistes out there. Now back to Kaduna Entertainment as a whole, how did you manage to navigate to be the popular Elaidrix we now know? ELAIDRIX: That’s because I believe in myself, if persin no hype me I go hype ma sef. I no dey rely on persin when it comes to music. 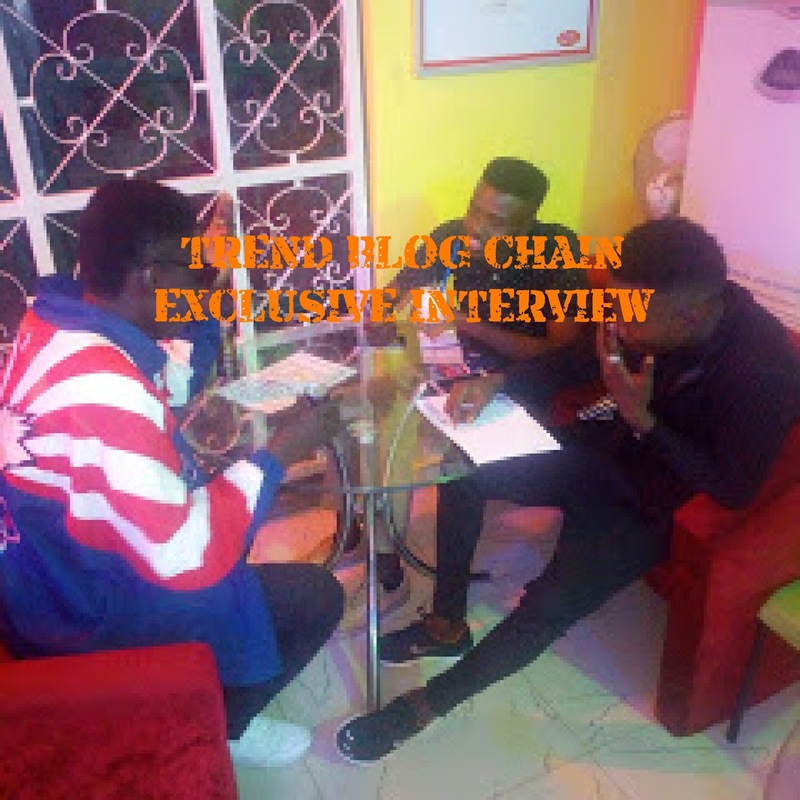 Na strictly God, hard work and how I use my social networks, interviews like this one, air-plays and even promotional pics. TBC: Who has been your influence and inspiration in Kaduna Entertainment? ELAIDRIX: Am that guy that is very close to Cinch, I see him as a brother not only as a boss because him na OG. Him don do like 10yrs for the game, he dropped his first song I think in 2003. Cinch is a pack of great things, if you are with him you must learn new things. You can’t be with Cinch and not be serious in fact ehn… “Only him ginger don do to ginger your ginger”. TBC: On the 2nd of February 2018 you dropped “Condo” which happens to be one of your hit song on which your featured DJ Cinch. How does it feel having Cinch on a song together with you? ELAIDRIX: Mehn… na big thing o, you know since “WO” just to hear “Harkan seniorman” for your song mehn no be small thing o. Having him on that song was one of the reason that song went far. Make I even tell una another secrete about the song “Condo”, He was mixing “Beware” when I halla’d him for “Condo” he was like kai! I never finish mixed “Beware” you done write another one. He was even supposed to travel but he made out time so we recorded “Condo”. TBC: There are rumors that “Elaidrix is just an artiste in Seniorman Record”, while others say “He runs it together with Cinch” why don’t you just enlighten us on this. ELAIDRIX: Lols oboi I no even know say rumor like this the circulate o. Well Seniorman Record is a family beyond just the name, we do a lot of things together way we no even fit talk about. We are just this family that are deeply in love with music and that do things to help one another. We’ve got Cinch, I myself, Aldrizz and of recent GeeZedBee. You know as e dey be na they say “two heads are better than one”. TBC: Hmm what’s up with BBK we didn’t hear you mentioning his name among the Seniorman Record’s artiste. 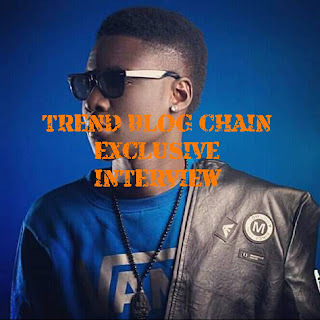 ELAIDRIX: BBK is a Beatz Fact3 artiste and Beatz Fact3 is different from Seniorman Records. Beatz fact3 has DJ Cinch, BBK and Kollabo as its artistes, while Seniorman Record emerged from Beatz Fact3. TBC: Nice, thanks for the clarification. Just of recent you dropped “Son of Grace” featuring your mum, mehn.. I must admit that song is a hit o, so what gave you that concept to feature your mum on a song? ELAIDRIX: Oboi o, the day that I got that concept I didn’t take it serious at first, I was with Kel-Cypha and jokingly he said “Imagine say you run track with your mother and she come murder you for the track” and I was like “mehn… I dey reason am o, e be like say I go run am”, so I kept pondering on it and then I made the necessary arrangements and the song was a success. After we dropped the song we got over 3.5k downloads. As in we were even having issues with the download link due to too much traffic. The song actually has two concepts my Mums name is Mrs. Grace and am her son which makes me the Son of Grace” and also am talking of the Grace of God. TBC: Oshey! This is a great achievement bro. So tell us bro, are you currently schooling? ELAIDRIX: Yes straight up, am running my HND at Nuhu Bamali Polytechnic Zaria Department of Public Administration, by this time next year I will be done. TBC: How do you cope schooling and at the same time doing music? ELAIDRIX: Walahi I no go lie una it has not been easy, but one thing is that I don’t give up class because of my music. You know say persin gaz balance things. Shows do pass me by because am in school but most times am in Kaduna most especially weekends, people even hardly know that am in school. Also am the kinda person that like to chat up with my fans in the morning but when am in school I can’t because of morning class and all that. One thing about music is “If you leave music, Music will leave you” and I don’t want to be an idle artiste, I always want to be always up to something. TBC: Bro as in ehn… we are curious o. we really want to know, what’s your relationship status? ELAIDRIX: Omor see setup question, chaii, I know say una go blog am but anyways am not single and as you all know Elaidrix is for the girls them. But am in a serious relationship. TBC: lols, so do you mean the ladies should keep coming or what? ELAIDRIX: Hmm, sha las las we no stop them from coming o.
TBC: So what is your advice to other artistes out there? ELAIDRIX: Just be humble, have patience, always get close to those ahead of you, try to know what they did that got them to where they are and give them the required respect. Also be consistent and the main thing “Prayers”, even if you bad still talk to God. See ehn.. I believe say God dey.. as in God really dey, Because you want to drop a song you can even fast about it. TBC: Wow you have really said enough bro. what is your advice to us the TBC Crew? ELAIDRIX: You guys should be an active blogger, keep posting, no weak o. see ehn this thing you guys are doing is a very great thing, just keep putting in much effort you will make it to be among the top bloggers we have and make una too forget the main which is “Prayers”. TBC: Thanks bro for motivating us today, we believe others out there will get motivated too by your words. And thanks also for honoring our invitation we wish the very best of your music career and life in general. 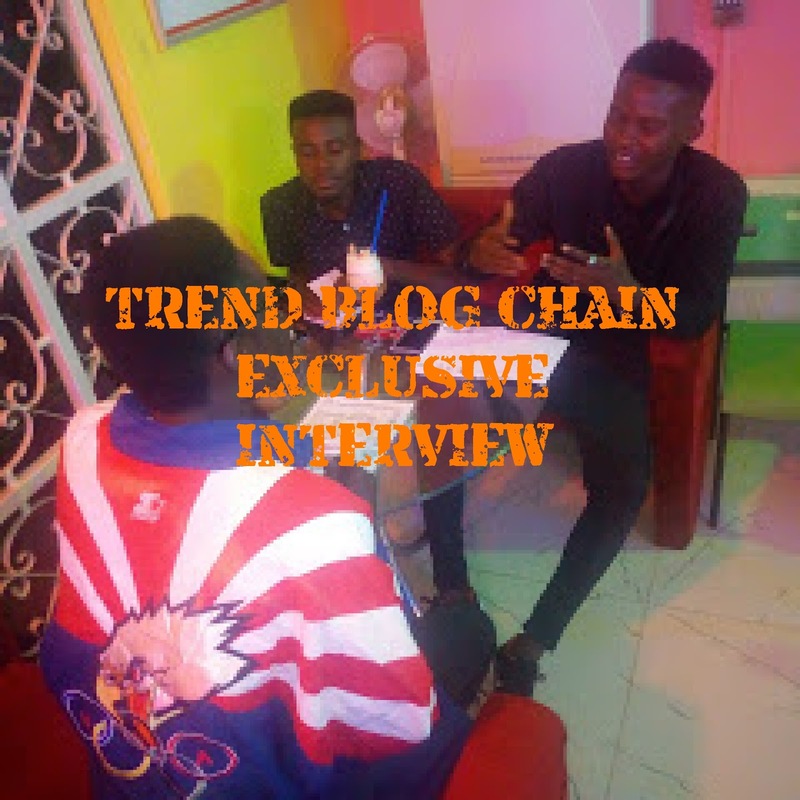 ELAIDRIX: you are welcome guys, thanks for your wishes and also having me on your hangout and interview session. Big ups!